Monday, Monday. Sometimes Monday comes too soon and the weekend ends way too soon. 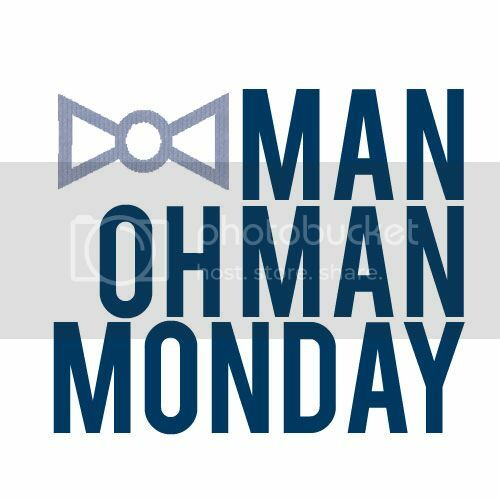 Still Monday can bring its own joys: a new beginning; a chance to catch up with office friends; and of course Monday now brings Man Oh Man Monday. I know I may be the only one aware of it, but it sure does change how I think of Monday. This Monday I am concentrating on patterned paper in the form of paper weaving. 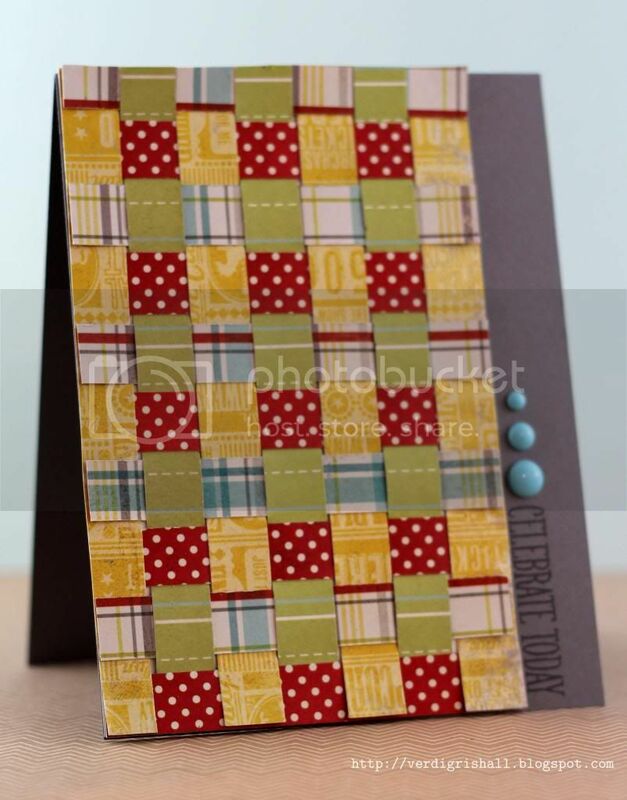 Yesterday, I made a simple paper weaving band to add to my card and today I am going to do a card front and a paper weaved border. 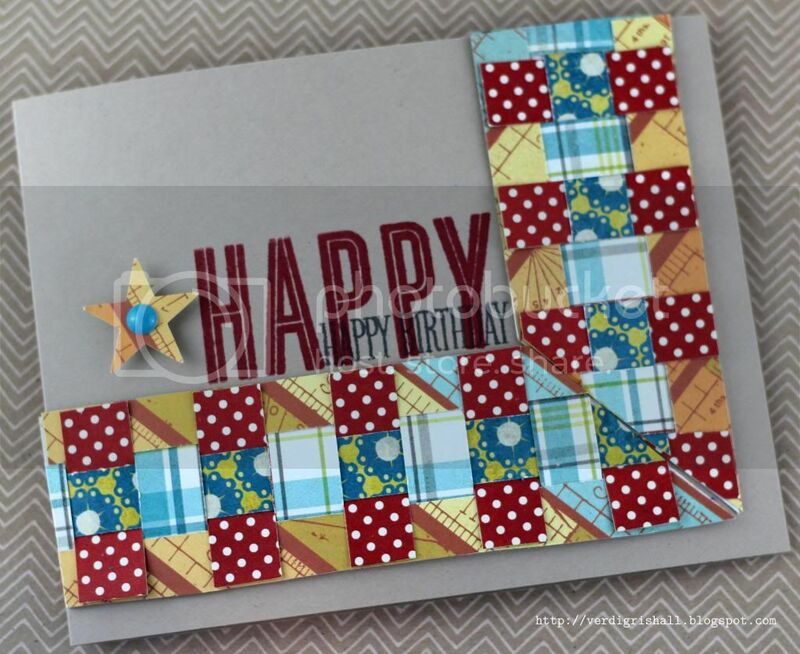 I would call these card Easy Going as they are pretty gender neutral. I used one side of a paper weaved section to make the block and then flipped it over and used the opposite side for the border mitering the edges where they meet. 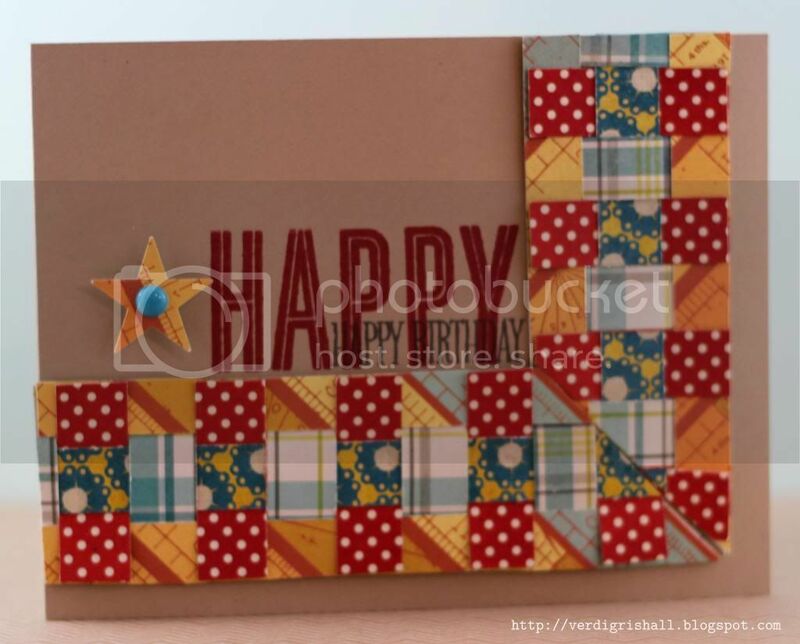 I recommend backing the parts of the paper weaving you choose to use with cardstock. The stamps all come from Papertrey Ink today. For the first card I simply added a sentiment and three enamel dots. That is one simple card. 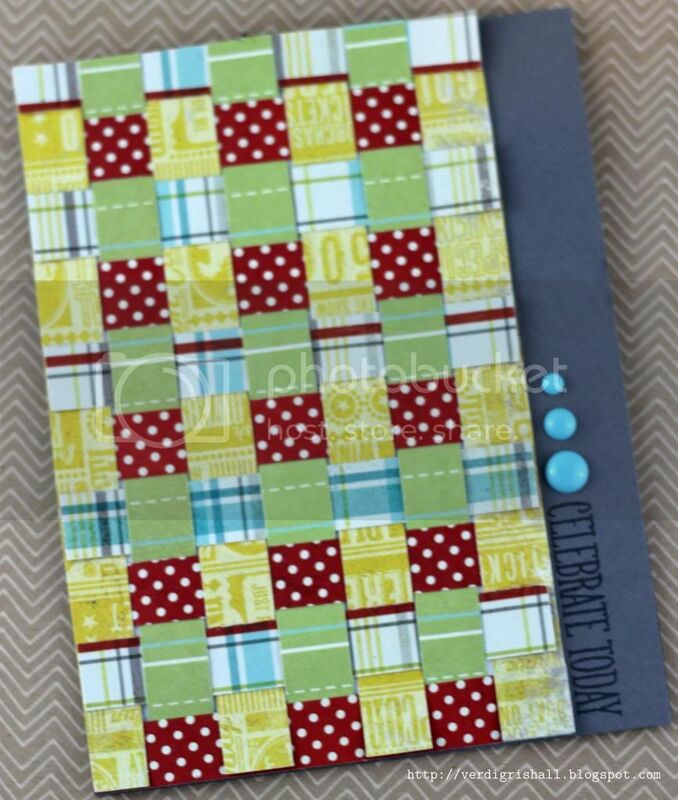 Changing up the patterned paper or exchanging it for cardstock would create a totally different look. 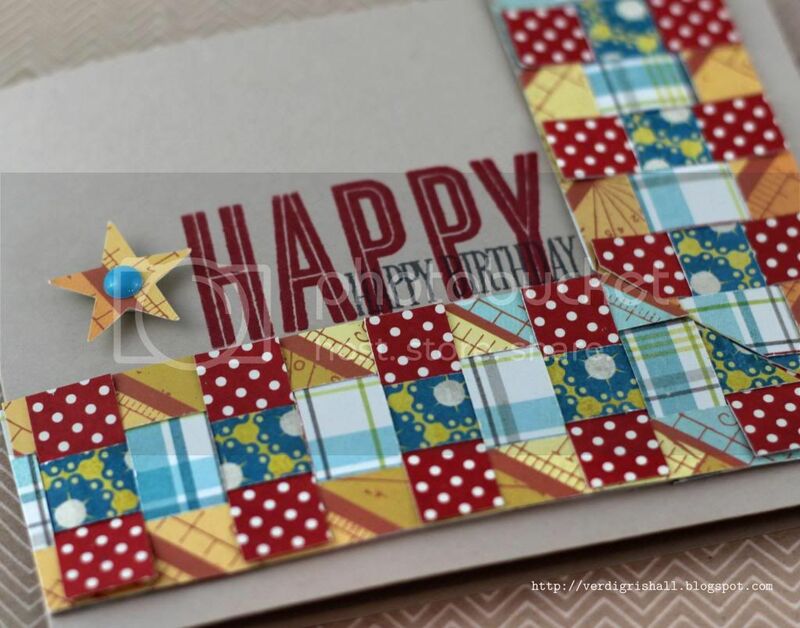 For the second card, I nestled the sentiments to fill in some of the rectangle created from the paper weaved border and finished up the sentiment block with a punched star. I only added an enamel dot for a touch of color and texture. MOMM Tip No. 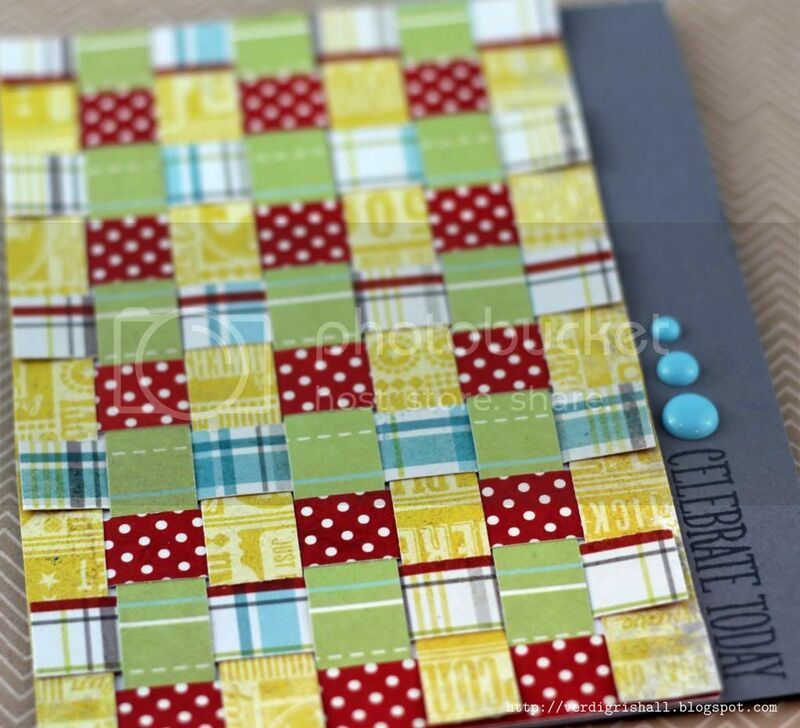 1: Use double sided patterned paper for your paper weaving as you can have twice as many options. MOMM Tip No. 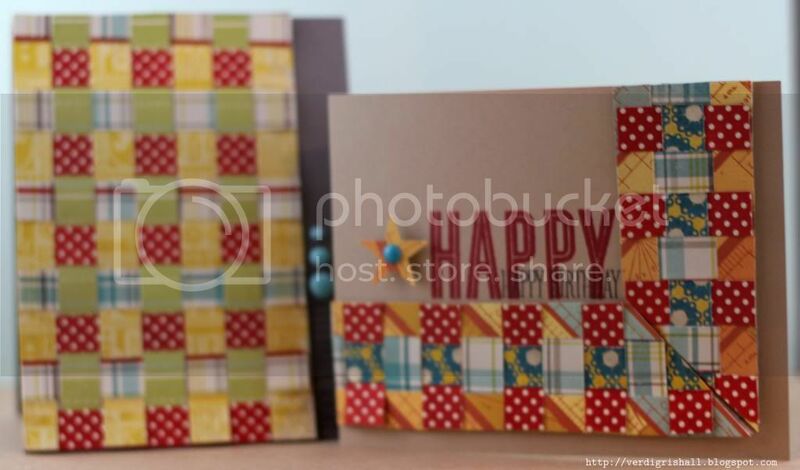 2: Cut up your paper weaving into blocks, strips or even shapes for all sorts of different possibilities. Thanks for joining me for another MOMM and hope to see you next week!